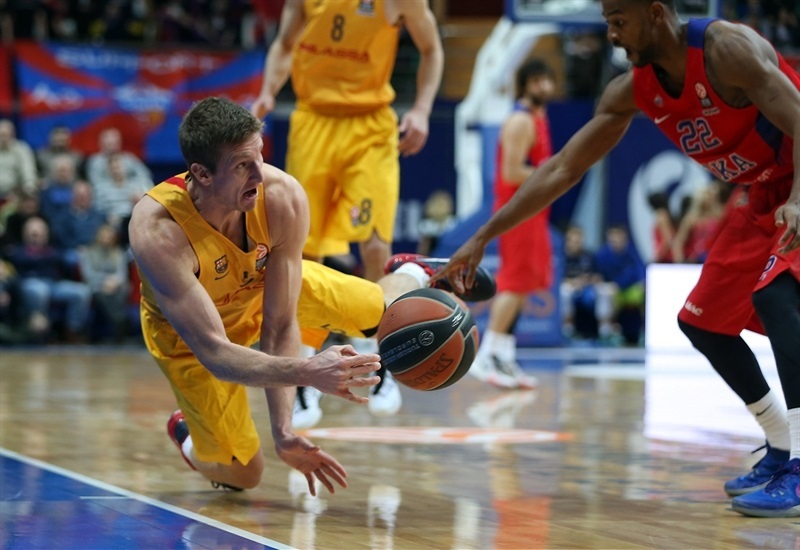 In a classic showdown, depleted CSKA Moscow hit 16 three-pointers to top FC Barcelona Lassa 93-82 at Megasport Arena on Thursday night. 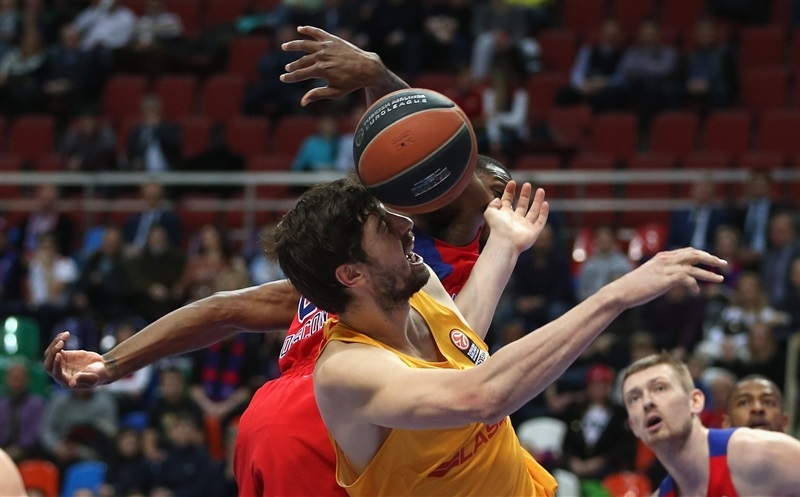 Playing without Nando De Colo, Joel Freeland, Victor Khryapa and Pavel Korobkov, CSKA registered its second Top 16 win in Group F, while Barcelona dropped to 1-2. 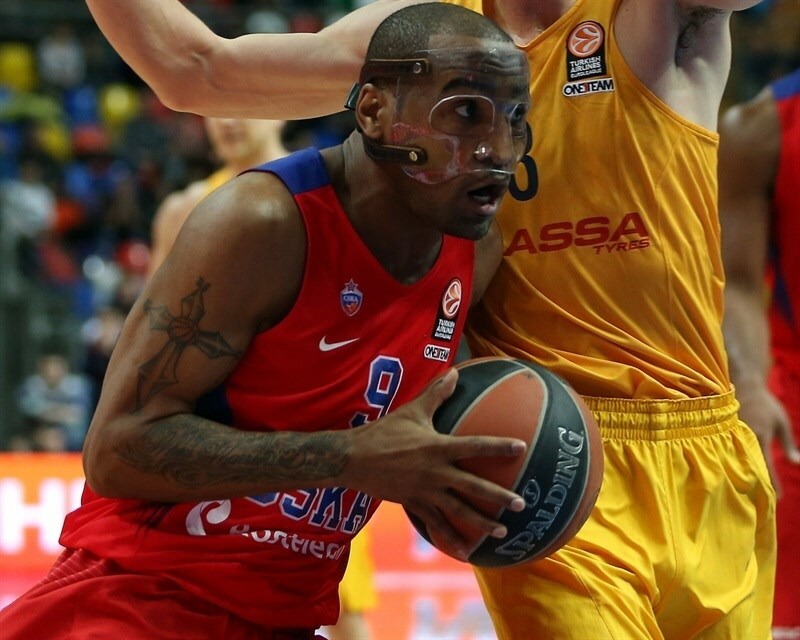 CSKA took the lead for good in the second quarter after hitting 9 of its first 11 three-point attempts. The hosts held a 54-46 edge at halftime and used an 18-4 spurt to finish the third quarter to build a 76-59 margin. Barcelona never came within single digits again, despite hitting 12-for-21 form downtown. Cory Higgins paced CSKA with 20 points on 4-for-6 three-point shooting, while Andrey Vorontsevich had 16 points on 4 of 6 three-point shooting, pulled down 9 rebounds and dished 4 assists. Milos Teodosic had 16 points with 6 assists and Kyle Hines and Dmitry Kulagin contributed with 12 and 10 points, respectively. Juan Carlos Navarro netted 16 points for Barcelona before an ejection for 2 technical fouls. Justin Doellman scored 14, Alex Abrines gott all of his 12 points with three-point shots in the fourth quarter, while Stratos Perperoglou had 11 points in defeat. In the absence of Nando De Colo and big man Joel Freeland, CSKA head coach Dimitris Itoudis opted to give Dmitry Kulagin and Ivan Lazarev their first-ever starts, which for Lazarev was also his debut minutes in the competition. Justin Doellman opened the scoring with a fastbreak layup, before Higgins answered by driving the lane for a layup. Navarro buried a corner triple, but Dmitry Kulagin answered right back from downtown. Lazarev had a put-back for his first Euroleague points, and after Peperoglou scored a layup on the other end, Vitaly Fridzon had a driving layup, and Lazarev hit a turnaround jumper over Ante Tomic to make it 11-7. Back-to-back threes from Demetris Nichols and Fridzon opened a 17-9 lead after 5 minutes, but Perperoglou answered right back with a step-back triple of his own. Navarro and Higgins traded baskets driving to the hoop, before Perperoglou scored a mid-range jumper to get within 19-16. 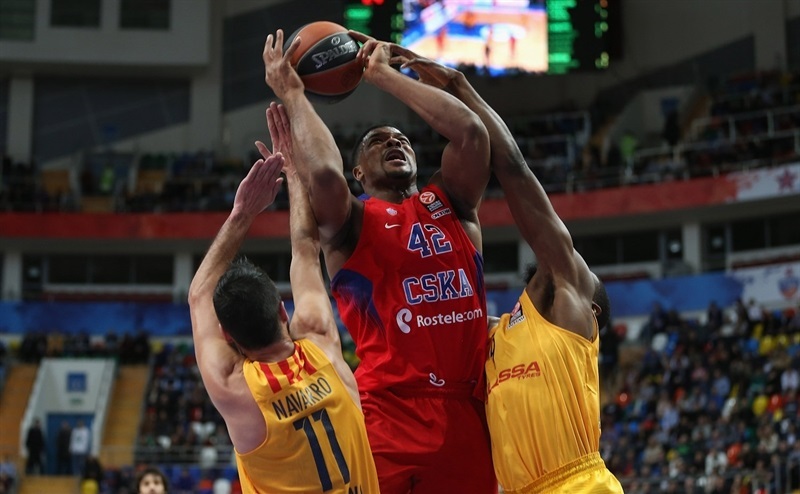 Vorontsevich bettered it with CSKA's fourth triple, but Barcelona’s Shane Lawal was left alone inside for a monster dunk. Navarro knocked down another three to get the visitors within 22-21. Oleson knocked down a corner triple, and Navarro nailed a step-back three, his third of the night, giving Barcelona a 25-27 edge. In the final minute of the quarter, Higgins also hit a triple before Vezenkov made a long jumper to make it 28-29 at the end of the quarter. Aaron Jackson returned from injury at the start of the quarter for CSKA, as Teodosic and Vezenkov traded triples in the opening minute. Hines scored a reverse layup for CSKA to regain the lead before Vorontsevich nailed a long baseline jumper that made it 35-32. Samuels finished in traffic, and after Teodosic nailed one from downtown, Vezenkov and Samuels scored from close range to tie it at 38-38. Dmitry Kulagin scored from close range, before Higgins and Vorontsevich hit back-to-back from long range, giving CSKA 9 triples from 11 attempts, and giving the hosts a 46-38 lead while forcing a Barcelona timeout. Navarro made free throws and then fed Doellman with a no-look pass on a fastbreak. 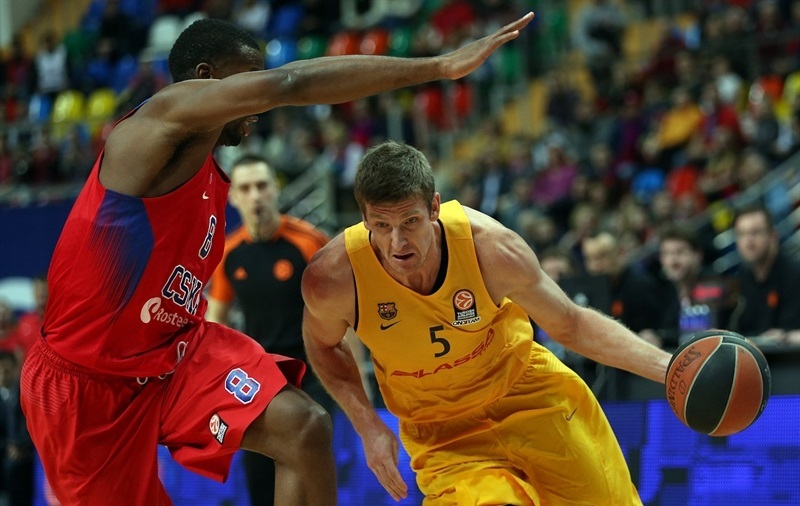 Kulagin and Doellman traded jumpers before Vorontsevich banked in a floater off the glass from the low post. A put-back by Hines made it 52-44. Perperoglou made a pair of foul shots with 4.4 seconds to go in the half, but that was enough time for Teodosic to push the ball up the court and throw an alley-oop pass for Lazarev, who finished with a big two-handed slam for a 54-46 CSKA lead at the break. Tomic scored inside on the opening possession of the half, but that turned out to be the only basket for more than two and a half minutes of a previously high-scoring affair. Barcelona went with a really big lineup of Samuels, Tomic and Perperoglou, with Tomic dishing twice to Samuels for a three-point play, followed by a layup that got Barca within 54-53. 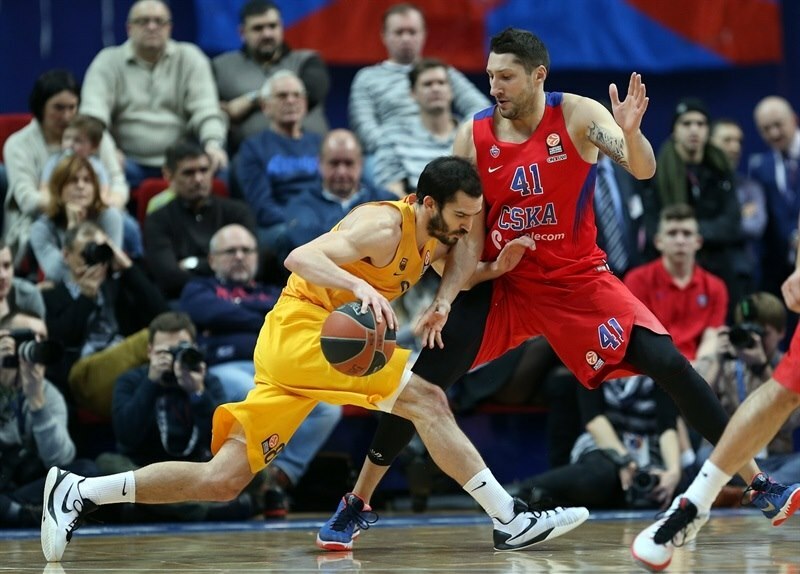 CSKA needed four minutes to score before Kulagin knocked down a triple. Perperoglou scored inside for the visitors, but Teodosic made an off-balance runner and Higgins nailed a wide-open corner triple to re-open an 8-point lead. After a timeout, Higgins gave CSKA its first double-digit lead with a three-pointer, and after Navarro answered with a triple, Teodosic dished a no-look pass to Hines for a three-point play and a 72-59 advantage. 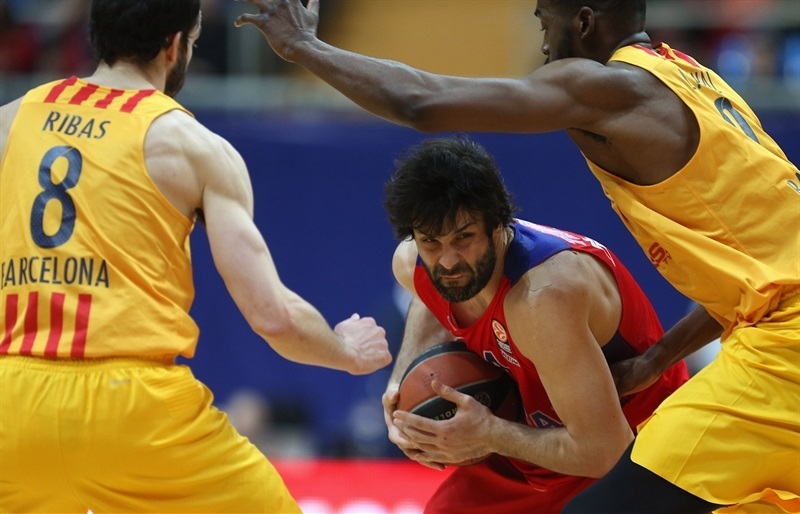 Navarro was ejected for two technical fouls and Teodosic hit a triple to make it 76-59 after three quarters. Barcelona’s offensive struggles continued, as it was left scoreless for more than two minutes in the fourth stanza. Hines scored a put-back, but Doellman had a layup and Alex Abrines buried a wide-open triple. After a timeout , Abrines hit another triple, and after an easy dunk by Hines, a third consecutive three-pointer from Abrines cut the deficit to 80-70 with 5:39 left to play. However, Nikita Kurbanov made a long baseline jumper and then scored inside. Lawal had a dunk on the other end, but Vorontsevich and Teodosic hit from long range to push the margin to 18, which essentially sealed the deal. 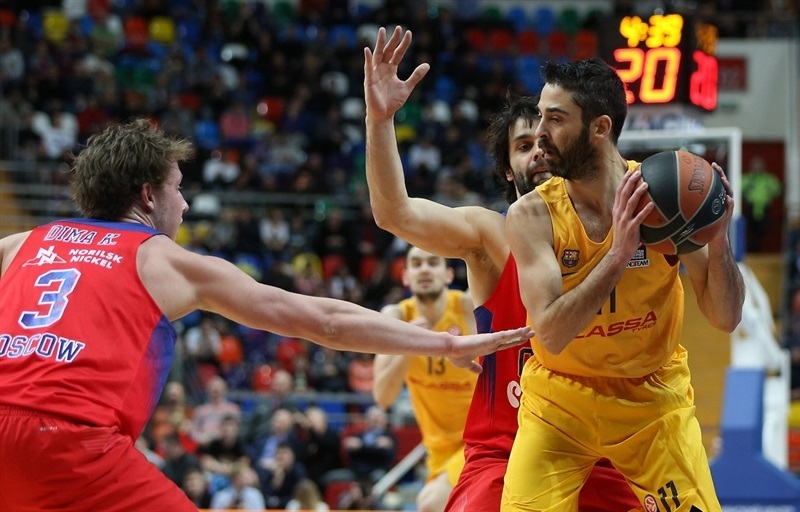 Abrines added a corner triple to his tally, and after Doellman scored twice inside, in the final minute Vorontsevich and Ribas traded three-pointers to appropriately round out the scoring. "Congratulations to the fans, who created a great atmosphere here in Megasport. They were really heard and they even created a wave around the stands; that was unbelievable. Congratulations to my team. It was really difficult to prepare for tonight’s game. 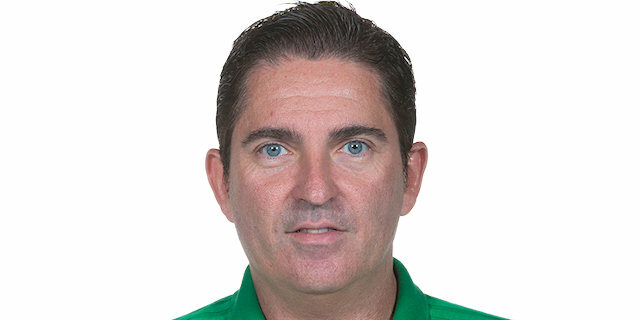 First of all, we faced a very strong opponent, well-coached, with great players and a system, a team that plays well recently both in the Euroleague and Spain. Second, we had bad luck with injuries. 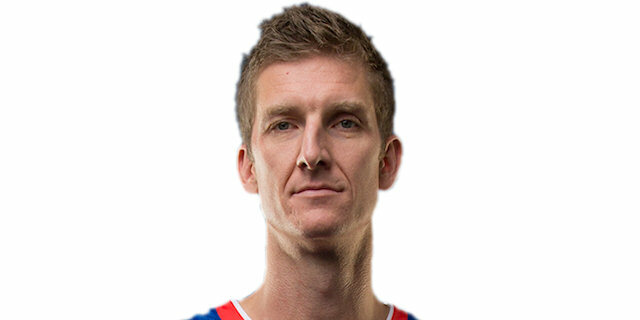 Nando De Colo has a swollen ankle, he could not play. Joel Freeland is out as well. Pavel Korobkov will undergo surgery on Saturday to clean his knee, but he really wanted to play and practiced with us until the doctors decided to leave him out. Milos Teodosic had problems with his neck after being hit in his back on the screen in the game with Avtodor. To tell you the truth, I did not know until my pre-game speech if Milos will play or not. But he really wanted to help the team and the medical staff did its best to let him play. Andrey Vorontsevich was also not 100 percent ready. 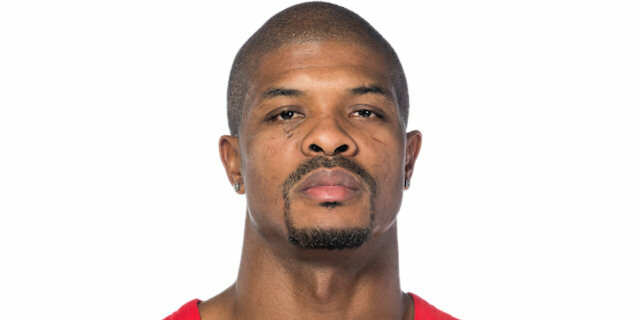 Aaron Jackson was not supposed to even practice fully with the team until tomorrow or the day after tomorrow. But he showed his will, he said that he is ready to take the risk. Overall it says something about our team spirit. This season everyone wants to play whatever happens, unless the injury is really bad. Everyone wants to cover his teammate’s back. Still we have 11 more difficult games in this Top 16, in our group full of great teams. We will continue to approach it game by game." "Congratulations to CSKA for the victory. The game had two most important moments. First was in the second quarter when we made couple of turnovers and were punished by three-pointers on each occasion. Second was in the third quarter when the game was almost even and we let the opponents make a decisive run. Overall it was even game in means of numbers and percentage of shots from any distance. I can be satisfied with our offense. Still during some periods we were not so good on defense, and even sometimes we defended pretty well, but CSKA players still found ways to score." "It was amazing to see so many people and feel their support today. I played in this arena for the first time. The atmosphere was incredible. We pushed all this energy to the game. It was tough to play without our injured players. All of them are a big part of our team. 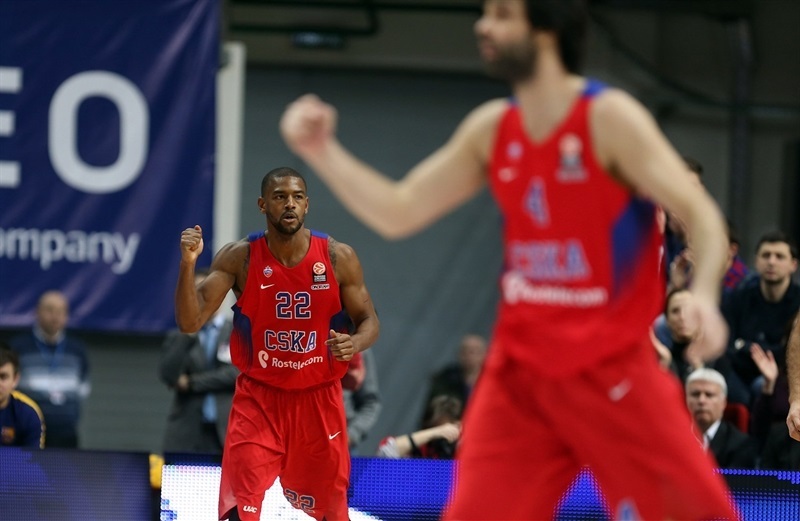 But we got Jackson back on the court, [Teodosic] played with some health problems. We have good backups who played perfect. It gave us extra motivation and power. " "It was an intensive game, CSKA started really well, we were down and it was difficult to come back. We didn’t show our best. We need to work on our mistakes in the future to become better."